It’s said that birds of a feather flock together, and that’s certainly been proven true when it comes to the litany of spineless RINOs that have teamed up to undermine Trump’s presidency. The “NeverTrump” legion was embarrassing enough when it was just filled with disgraces like Bill Kristol, but now even more clowns are jumping on the bandwagon, looking for an opportunity to signal to their leftist masters or to just engage in pointless issues, as a new super team is doing. As reported at the Los Angeles Times, a new dynamic duo of RINOs has been born in the form of former California Gov. Arnold Schwarzenegger and Ohio Gov. John Kasich, as they’re setting their sights on “reforming” the Republican Party. The two will be headlining an event to debut a new group which will be targeting California’s GOP wing first, what little that exists. Schwarzenegger was one of the last Republicans to win a statewide election, and ever since he left office, he’s apparently been lamenting the drastic decline of the GOP in the state. Since then, the GOP’s share of voter registration in California has slipped to 26%. 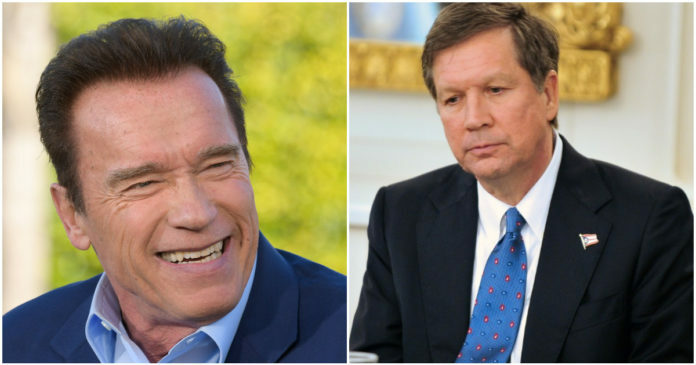 Kasich shares Schwarzenegger’s concerns, advisor John Weaver said. “He has concerns about that because what happens in California is a precursor to what happens nationally,” Weaver said. Kasich and Arnold have been fierce critics of Trump, with the former wringing his hands on a nationwide tour, calling for “bipartisanship” and “civility” in politics. 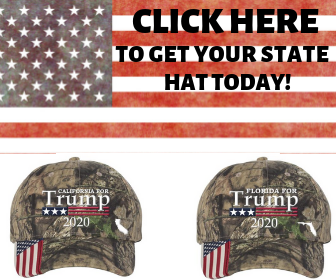 Rather than waste their time on a lost cause like California, they’d do better to do work in Texas, which is legitimately under threat in the years ahead of being turned blue, which would be a national disaster. But you can’t expect RINOs to operate with any amount of sense, which is precisely why they’ve chosen to needlessly spin their wheels in a state that has zero chance of ever being red again.